Dielectric broadband mirror, to fit to CTi 6800 or TeraScan III galvo scanners or any other galvos with 0.8mm slot. Larger Aperture than original mirror, for beam size of 4 - 4.5mm. 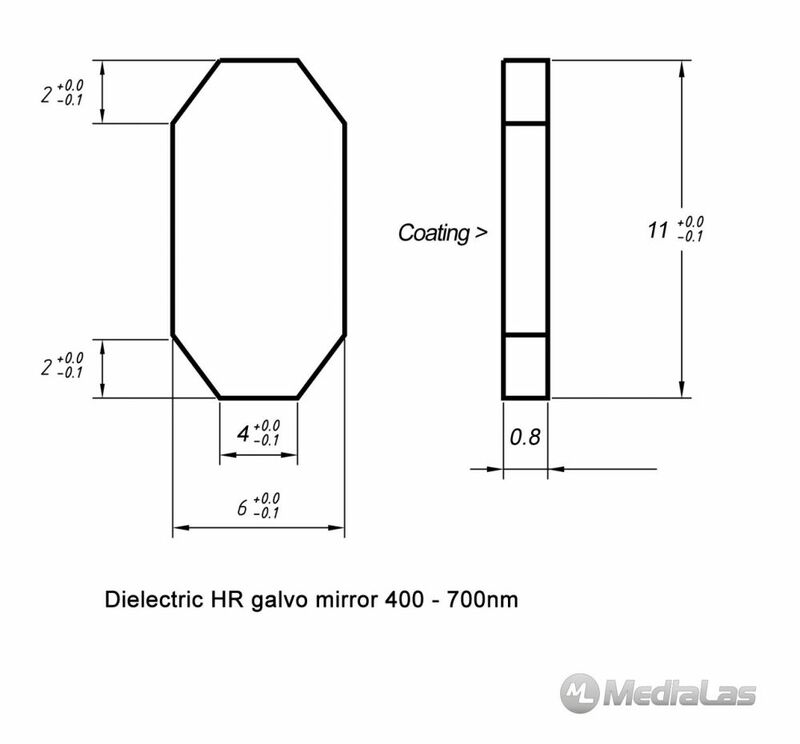 This mirror can be used for X and Y galvos.